There’s a belief I’ve seen recently online claiming that studies from Scandinavia don’t relate to the U.S. because autism is rare there (3 in 10,000) and that autism in Scandinavia is primarily “high functioning”, Asperger syndrome or the like. I won’t link to the discussions as I’ve tried to avoid using the blog to continue discussions found online elsewhere. 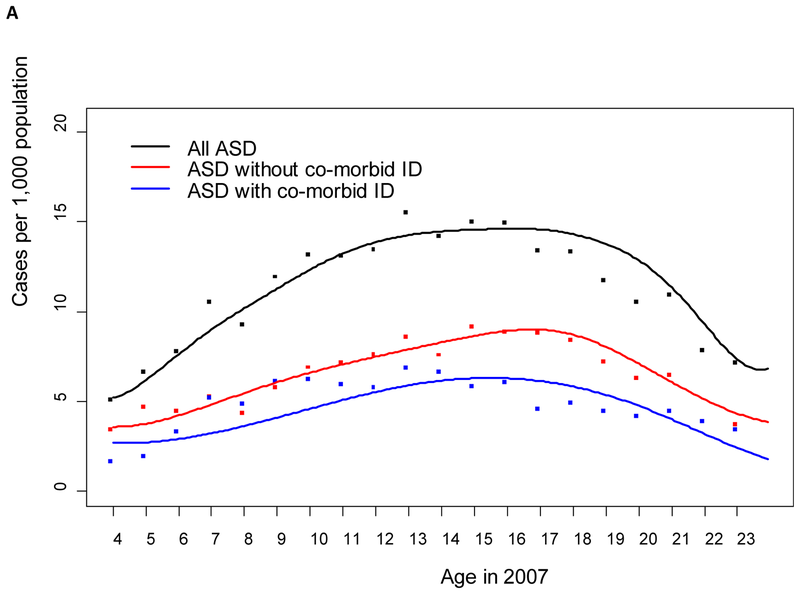 The 2007 year prevalence of ASD in all children and young people was 11.5 per 1,000 (95% confidence interval 11.2–11.8), with a co-morbid intellectual disability recorded in 42.6% (41.0–44.2) of cases. We found 96.0% (92.0–98.4) of reviewed case-notes being consistent with a diagnosis of ASD, and confirmed ASD in 85.2% (66.2–95.8) of affected twins. Yep. Prevalence comparable to the US and with a similar level of intellectual disability. While we are at it–the prevalence is also pretty much flat for ages 9-18 (kids born from 1989 to 1998) as well. As noted before, thimerosal exposure from infant vaccines was low in Sweden before the 1990’s and was reduced to zero in the early 1990’s. So, for few people still clinging to the “thimerosal epidemic” idea, here’s another nail to add to that coffin. Another recent study shows prevalence in Scandinavian countries to be between .5 and 1 per 1,000. I’m guessing some people (choose to) see 1.5 per 1,000 rather than the true number, or they just don’t realise that 11.5 per 1,000 is nearly identical to 1 per 100.